How Important Is Green Space? How Important Are Low Property Tax Rates? How Important Are Neighborhood Amenities, Like Swim & Tennis? Do You Prefer A Large Lot? Are you looking for a condo or townhome? Are you looking for a specific area of town in Metro Atlanta? Which location do you prefer, if any? Strategically located in the heart of Metro Atlanta; connected by 4 major interstates and MARTA, the region’s only transit rail system; Fulton County is the state’s largest county in terms of population, real estate and economic activity. With 15 unique cities, including the great City of Atlanta; the State Capitol and major attractions; Fulton County is the political and lifestyle epicenter for Georgia and the Southeast. Living in Fulton County offers easy access to the region’s best, from arts and culture events, to premiere sports and entertainment facilities, to a wide variety of local and international cuisine and shopping. Visit the nationally recognized Atlanta Beltline; the new home of the Atlanta Falcons, Mercedes-Benz Stadium; Alpharetta’s luxury lifestyle center, Avalon; and Fulton’s many vibrant downtown main streets from Roswell to College Park. Outside of Atlanta, Fulton County provides high-quality living experiences with a more suburban feel and a wide range of single and multifamily residential options. Recreational choices are abundant, with thousands of acres of parks and green space. From north to south, Fulton County is a community that offers a little bit of everything, no matter your lifestyle preference. 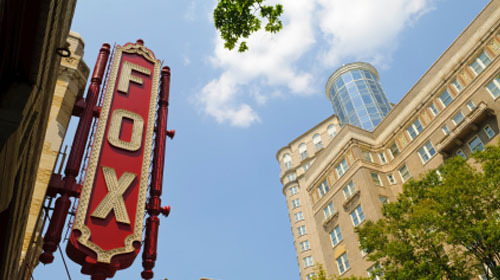 An abundance of theatres, museums, art centers, and festivals are offered in Atlanta to appease the art and cultural tastes of people of all ages. Quaint and unique galleries and culture-infused theatre companies as well as the Grammy Award-winning Atlanta Symphony Orchestra and the exceptional High Museum of Art call Atlanta home. Below are some of the main art and cultural attractions in Atlanta along with websites where more information can be found. Dining out in Atlanta can range from down home Southern cooking to upscale fine dining. Every person should be able to find a restaurant in Atlanta to satisfy, if not exceed, their appetites. People who move to Atlanta from other cities in the U.S. or other countries in the world should be able to find cuisine in Atlanta that reminds them of their home town. Below is a list of some of the main restaurants in Atlanta divided up by the type of food they serve. For a traditional Japanese hibachi steakhouse, try Benihana, which offers a variety of delicious meals ranging from steak and chicken to garden-fresh vegetables and sushi. A communal style table is served by a personal chef who will entertain while preparing the diner’s menu choice. Or patrons can relax in the lounge and enjoy fresh sushi from the sushi bar. The average plate is $18. If you’re looking for a restaurant that uses only fresh, quality ingredients and prepares each meal to order, then Chin Chin VII is the place for you. The family friendly restaurant offers Chinese and Japanese dishes and has a large selection of sushi. Current specials include $1 sushi every Monday through Wednesday from 5:00pm-7:00pm. The average plate costs $9. For delicious curry dishes, visit Lemon Grass Thai Restaurant for lunch or dinner. Seafood and vegetarian fare is available and desserts include fried banana spring rolls and snow cones. The average plate costs $10. Mori House offers fresh and high quality sushi and sashimi in a contemporary and friendly environment. The restaurant serves noodle dishes, tempura dishes, and a variety of seafood including squid, octopus, and crab, as well as sweet tofu and quail eggs. For the perfect place to celebrate birthdays or special occasions, consider dining at Mu Lan, located in a beautifully renovated Victorian home in Midtown. Mu Lan offers indoor and outdoor dining and serves authentic Chinese dishes, with an emphasis on seafood. The average plate costs $10. Located near many Atlanta attractions, Rise Sushi Lounge is the perfect restaurant to add to your plans in the city. Chefs prepare mouth-watering Asian tapas and entrees in the open kitchen, while also offering a variety of delicious sushi. The 360 degree bar offers a large selection of sake, specialty cocktails, and house prepared infusions. The average plate costs $20. For an authentic, delicious Thai meal, visit Spoon, a family run restaurant, owned and operated by the Suteeluxnaporn family from Bangkok, Thailand. Enjoy lunch with the business crowd, or come for dinner for a more sit-down feel. Tuesdays’ bar special is ½ price off any bottle under $50 and Wednesdays’ special is the $5 Spoon Signature Cocktail, which changes weekly. The average plate costs $16. To enjoy a fresh tasting and eye pleasing meal, visit Thrive, where a wide selection of sushi is served, as well as seafood, steak, and a variety of salads. A business lunch spot by day, Thrive transforms to an elegant evening spot by night, with a lively atmosphere and hip lounge. Every Saturday is a free ladies night with drinks and dancing. The average plate is $18. Serving Polynesian cuisine and tropical cocktails, Trader Vic’s Atlanta is a lively restaurant with palm-thatched ceilings, traditional tikis, and a giant blowfish. Favorite menu items include wasabi mashed potatoes, curry specialties, and wood-fire oven specialties. The average plate is $25. For contemporary American cuisine, try Bacchanalia, which features light dishes with strong flavors. The menu changes with the seasons and consists of entirely organic ingredients. Bacchanalia offers a five-course prix fixe menu for $85 per person. The menu can also be ordered a la carte at the bar. Serving sophisticated American fare, Brooklyn Cafe is a casual dining spot in an upscale neighborhood. Specials change daily, based on what is fresh and in season. Popular menu items include shrimp tacos, crab cakes, and lobster risotto. The average plate costs $20. For a chic restaurant with a superb menu selection, visit Café Circa, located in the Historic Old 4th Ward district. Originally a grocery store built in 1903, Café Circa was renovated into the beautiful restaurant and bar that it is today. Menu items vary and include such offerings as lamb, oxtail, red fish, and tofu. The average plate costs $18. For authentic American cuisine in the heart of downtown Atlanta, visit Carnegie’s American Grill. Menu items include mouth-watering burgers, chicken, fish tacos, black bean burgers, seafood, beef, and a variety of salads and soups. The average meal costs $10. For casual dining in an exciting and innovative style, visit Copeland’s Cheesecake Bistro, where dishes are created with influence from throughout the world. Menu items include such offerings as blackened shrimp, fettuccine alfredo, shrimp and dumplings, pizza pasta bowls, and a variety of seafood, chicken, and steak. Dessert includes a wide variety of the restaurant’s specialty signature cheesecakes. The average plate costs $15. For southern cooking in a family atmosphere that will make you feel like you’re eating at Grandma’s house, visit Dicky Doo’s Diner. The menu changes daily, but includes items such as savory BBQ and delicious fried chicken. The average plate is $6. With southern charm and personality, Atlanta’s Hard Rock Cafe is a must-stop for tourists. Decorated with memorabilia from rock legends with southern roots, this restaurant serves Hard Rock favorites and legendary burgers, as well as southern inspired dishes. As an added bonus, performers and bands provide entertainment for all patrons and visitors. The average dish costs $15. New York Style sandwiches with a southern flair are available at Jack’s New Yorker Deli. The deli offers breakfast all day and serves a wide variety of sandwiches and salads. With casual dining and a relaxed atmosphere, the deli is perfect for families with children or small groups. The average plate costs $7. This barbeque restaurant is proud of its signature barbecue, smoked for twenty-four hours to ensure the best taste possible. The restaurant takes no shortcuts and makes everything from scratch. The Wednesday special is pork&grits and Taco Tuesdays offers a variety of delicious barbecue and fish tacos. The average plate is $11. For a fun time and casual dining, visit Jocks & Jills, located in the Galleria Mall. Menu items feature jumbo wings, baby back ribs, ½ pound burgers, and many other sports bar favorites. Entertainment includes wall to wall high definition televisions, team trivia contests, Texas Hold ’em tournaments, Wii tournaments, and much more. Jocks & Jills offers both indoor and outdoor dining. The average plate costs $10. Local Republic is a gastropub that offers delicious burgers, seafood, and sandwiches. The menu includes items with original names such as “Mr. Jones,” “Patrick Swayze,” and “Mary had a little lamb burger.” Outdoor seating is offered, and the average plate costs $12. With indoor and outdoor seating, views of downtown, and awesome entertainment, Luckie Food Lounge is the place to be on Fridays or Saturdays. Private and corporate events can be booked during weekday hours. The lounge offers classic American dining, with favorites such as shrimp and grits and jerked chicken. Vegetarian items are also available. The average plate costs $20. Every Friday from 3:00pm-7:00pm is a $5 happy hour. Marietta Diner is perfect for families with children, large groups, and people on the go, offering breakfast, lunch, dinner, and takeout. The restaurant serves classic American entrees and desserts, with offerings such as country fried steak, veal cutlet, roast turkey, and a variety of cheesecakes and other sweets. The average plate is $9, and the diner is open 24/7. For a unique dining spot with a relaxed atmosphere and fresh, locally grown food, visit Muss & Turner’s. The restaurant is a deli by day and seasonal bistro by night. In order to serve what is currently in season, the dinner menu changes daily. The average plate is $25. For a fresh meal made with locally grown items, visit Parish, located in a beautifully restored historical building. A restaurant, market, and deli, Parish offers American inspired dishes, organic breads made in house, a walnut and zinc bar, and a coffee and espresso bar, which uses only fair trade beans. Live music is enjoyed on weekends. Menu items change daily to serve what is in season. The average plate costs $20. For an historic and soulful dining experience, visit Paschal’s Restaurant, located in downtown Atlanta. Started in 1947 by brothers, James and Robert Paschal, this down home restaurant is known for its southern specialties such as fried chicken, smothered pork chops, braised short ribs, shrimp and grits, and mouth-watering peach cobbler. The average plate costs $18. Located in the Atlanta Marriott, Sear offers delicious cuisine for a special night on the town. Private dining is available, as well as chef’s tables, where Sear’s Chef Chris hosts patrons. The menu offers a variety of fire-inspired dishes including seared steak, seafood, and even seared desserts. Over 140 varieties of wine are offered on the menu or in the adjacent lounge. The average plate costs $22. If you are looking for contemporary southern cuisine served in a relaxed atmosphere, then South City Kitchen is the place to go. The restaurant offers a unique dining experience, where visitors to the Vinings’ location can watch their food being prepared in the open exhibition kitchen. Patrons at the Midtown location can dine in style in the updated, historic bungalow. The average plate is $35. For a satisfying meal on the go, try Blimpie Subs and Salads. With a variety of wraps, paninis, and subs, as well as soups and salads, and a healthy light menu, there is sure to be something to please everyone. The average meal costs $5. Founded in 1946, Chick-fil-a became well-known for offering the first boneless breast of chicken sandwich. The restaurant continues to offer delicious chicken sandwiches as well as salads and hand spun milkshakes, and has a large selection of gluten-free items. The average meal costs $6. With its famous creamy shakes and malts, hamburgers and melts, Johnny Rockets is a classic American diner. Table top jukeboxes and 50’s style décor makes Johnny Rockets a fun place to visit. The average plate costs $6. For a fun and unique dining spot, visit Mellow Mushroom. The restaurant is known for its large variety of pizza, including build your own, and also offers grilled and deli hoagies, calzones, and salads, and a large selection of locally brewed beer. Game nights are held throughout the week, making Mellow Mushroom a great place to unwind after work. The average plate costs $8. Started in Atlanta in 1996, Roly Poly now boasts over 125 restaurants in 24 US states. Sandwiches and salads are made with fresh and unique ingredients, including red pepper hummus, sun dried tomatoes, artichoke hearts, and mango chutney. Sandwiches can be ordered off the menu or as a roll-your-own option and warm and delicious soups are also served. A lower fat menu selection is available. The average plate costs $6.50. For a fun night out on the town, try Slice, located in downtown Atlanta. Speciality pizza pies include cordon bleu, pesto pollo, margherita, and sweet pea. Delicious appetizers, salads, and sandwiches are offered, as well as build-your-own pizzas. Slice also offers a large selection of wine and beer. The average plate costs $9. For a light and satisfying meal, enjoy a delicious sandwich from Subway. With a variety of hot and cold subs, wraps, and paninis, as well as soups and salads, and a fresh fit menu, there is sure to be something to please everyone. The average meal costs $5. For a fun time any night of the week, visit The Republic Social House. Every night the restaurant offers a different special, including 45 cent wing night and $1 taco night. A variety of mouth-watering menu items include melts, burgers, tilapia sandwiches, and vegetarian items. Unwind after a work day with games such as ring toss, life-size jenga, and beer pong. The average plate costs $9. Enjoy delicious pizza, hot sandwiches, pasta, and salads at Villa Pizza. Located in Underground Atlanta, Villa Pizza is a fun place to visit while enjoying your night out on the town. The average plate costs $12. 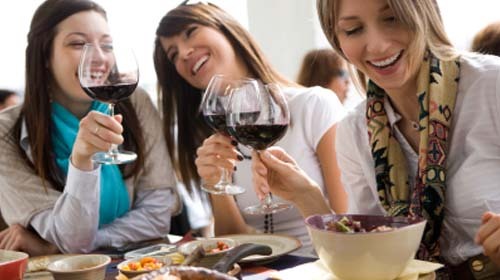 With delicious and succulent steak, a large wine selection, and creamy cheesecake, Brazil is an upscale dining experience in downtown Atlanta. The large salad bar includes a wide variety of salads including chayote, portobello, and eggplant salads. The average plate costs $35. Located in downtown Atlanta, Morton’s Steakhouse is the perfect choice for lunch clients, a night on the town, or drinks at the bar. Morton’s offers seafood and steaks, and has a separate gluten and soy sensitive menu. Signature dishes including honey-chili glazed salmon filet, Chilean sea bass filet a la nage, and Alaskan king crab legs. The average plate costs $40. Located on the 30th floor of the Hilton Atlanta, Nikolai’s Roof is the perfect destination for a romantic dinner with a beautiful view of downtown Atlanta. With French and Russian influence, and using fresh and local ingredients, dishes can be served a la carte or in a 4-course or 8-course menu option. The menu changes often to offer exciting new dishes, with a favorite being Pan Seared Dover Sole with Caramelized Dutch White Asparagus. The 4-course menu costs $85. Conveniently located near favorite Atlanta hotspots, Ruth’s Chris Steakhouse is the perfect place for a romantic steak dinner, or a social event in a private dining room. Known for its succulent steaks, Ruth’s Chris Steakhouse began in New Orleans over 45 years ago. Other menu items include a variety of seafood, lamb, chicken, and vegetarian options. The average plate costs $45. Enjoy a comfortably elegant evening and a breathtaking Atlanta skyline view at The Capital Grille. Known for its steak and seafood, The Capital Grille also offers an award winning wine list of over 5,000 bottles. The average plate costs $40. A tri-level revolving restaurant located on the top floors of a 73 story hotel, the Sundial is one of Atlanta’s famous landmarks. After an 85 second ride in an exterior glass elevator cab, enjoy a breathtaking view of the the Atlanta skyline, while having drinks at the bar, or enjoying any of the delicious menu items, including seafood, beef, lamb, and pheasant. The average plate costs $50. Located in a remodeled 1916 Bungalow, Babette’s Cafe offers Mediterranean cuisine with a rustic European feel. French, Italian, Spanish, and Mediterranean flavors are blended together to make the perfect dish, including favorites such as potato gnocchi or paella. A gluten-free menu is available. The average plate costs $20. For a relaxed lunch or an enjoyable evening downtown, visit Pacific Rim Bistro. A large sushi menu and sushi bar are the highlights of this Pan-Asian restaurant. Enjoy a drink from the extensive wine list at the full open bar or dine in the outdoor patio. The average plate costs $20. Inspired by the Manhattan lounge scene, CRU Urban Lounge is a modern styled neighborhood bar and restaurant. With a limited menu that changes with the season, CRU is proud to offer unique items such as caramelized eggplant bites, spicy chicken tacos, and the speciality CRU burger made with grass fed beef and served with smoked gouda and spiced ketchup on an onion bun. The average plate costs $9. Located in downtown Atlanta, Dania’s Restaurant and Lounge is the place to visit during your night out on the town. Authentic Mediterranean entrees are served in the cozy atmosphere and brick-oven pizzas are made with crisp, fresh ingredients. Dania’s prepares decadent desserts and offers a full bar. The average plate costs $12. For an authentic taste of Ireland, visit Fadó, which serves burgers, soups, and sandwiches, as well as traditional Irish fare. Late night fun can be enjoyed on the rooftop patio, which is decorated with stone walls and murals of Ireland, or in the pub, while watching live coverage of Irish and European Sporting Events. The average plate costs $12. The Pub’s weekend hours are based on the European sports’ schedule. For affordable, elegant bar food, prepared with fresh, local ingredients, visit P’cheen International Bistro & Pub, one of the first gastro-pubs in Atlanta. Delicious meat, poultry, and seafood are served alongside unique side dishes, such as sweet corn grits or truffle blue mashed potatoes. The average plate costs $16. A perfect spot for lunch or dinner, AZIO Downtown offers traditional Italian cuisine with a modern twist. Enjoy pizza, pasta, and other Italian favorites in a delightful atmosphere that is sure to bring refreshment to your day! The average plate costs $20. Serving pizza, pasta, and other Italian favorites, Baraonda mixes southern charm with the delightful cuisine of Italy. The quaint cafe offers dining room, patio, or bar seating and has an extensive wine selection. The average plate costs $16. With classic Italian dishes served in a beautiful and cozy setting, La Tavola is a favorite place for romantic dinners or family gatherings. Delicious and traditional Italian cuisine is prepared in an open exhibition kitchen. An extensive wine list is available. The average plate costs $17. For a business lunch or a large group celebration, visit Maggiano’s Little Italy, where Italian food is served in a vibrant setting with excellent service. A wide selection of meat, pasta, and vegetarian items are available and party rooms offer private dining for special celebrations. A family style menu is offered for parties of 4 or more. The average plate costs $20. Enjoy the taste of Tuscany with a contemporary twist at Medici. Fresh seafood and prime meats are paired with the perfect wine, selected from the extensive wine collection of over 90 varieties. Many dishes are prepared with a regional favorite – Georgia sweet grass goat cheese. The average plate costs $20. Located in historic Inman Park, Sotto Sotto is the perfect spot for an authentic Italian meal, served with 100% Italian wine. Delicious and unique menu items include favorites such as eggplant and walnut ravioli, or oak roasted tuscan style veal chop. The average plate costs $20. Enjoy a relaxing meal in the warm ambiance of Veni Vidi Vici, located in midtown. The classic Italian trattoria offers authentic and delicious dishes, and is known for its handmade pasta and signature roast suckling pig. Party rooms offer private dining for special celebrations. The average plate costs $25. Atlanta continues to host major sporting events including the NASCAR Sprint Cup Series at Atlanta Motor Speedway, the PGA Tour Championship at East Lake Golf Course, Final Four of the NCAA Men’s Division I Basketball Tournament and the 10K Peachtree Road Race. 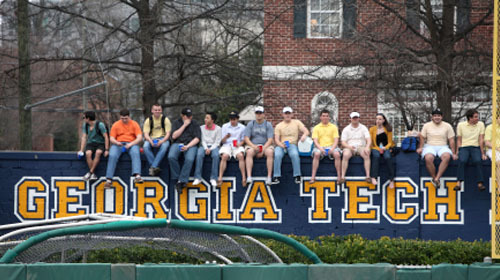 For fans of college sports, metro Atlanta is home to the University of Georgia Bulldogs and Georgia Tech Yellow Jackets and also annually hosts the Chick-fil-A Bowl and Parade and the SEC Championship. Metro Atlantans have ample opportunities for both indoor and outdoor recreation with more than 100 public, private and semi-private golf courses and approximately 300 golf days per year. The area offers several lakes– Lake Lanier and Lake Allatoona being the largest– for fishing, swimming, and boating. There is also an abundance of recreation leagues and clubs for popular sports, such as tennis, baseball, soccer, football, basketball, cycling and running. The Atlanta Lawn Tennis Association (ALTA), the second largest local tennis association in the nation with more than 80,000 members playing on over 200 public tennis courts, and the Atlanta Track Club (ATC), the second largest running organization in the United States serving runners and walkers of all ages and paces, are just two of the opportunities available to metro Atlanta residents. Lovers of tennis will find an abundance of courts, both free and fee-based, and an especially strong organization for league play, the Atlanta Lawn Tennis Association. Registered with the U.S. Lawn Tennis Association in 1934, ALTA is affiliated with the U.S. Tennis Association through membership in the Southern Tennis Association and abides by the rules of the USSTA rules of tennis and code of play. It hosts leagues for men, women and juniors. For more information, visit the ALTA website, www.altatennis.org. Under the auspices of the Atlanta Track Club, the city is a prime venue for five-and 10-kilometer foot races, most notably the 33-year-old Peachtree Road Race, the largest 10,000-meter road race in the world. Held every Fourth of July in hot and humid weather on a course that traverses hills and plateaus extending from Buckhead’s Lenox Mall to Piedmont Park in Midtown, “the Peachtree,” as natives like to refer to it, attracts runners from as far away as Africa, Europe and Indonesia, along with a cadre of loyal natives who make it a point of pride to run the race every year. For more information on the Peachtree and other Atlanta Track Club-sanctioned foot races, go to www.atlantatrackclub.org. As area residents look for safer ways to exercise and avoid congested roadways, the demand for a metro wide trail system has increased dramatically. The PATH Foundation, a non-profit organization, has stepped in to help create a network of trails throughout Georgia and the metro area that are used each day by thousands of joggers, walkers, bikers and skaters. Currently there are over 80 miles of trails throughout Atlanta. To find the nearest trailhead go to www.pathfoundation.org. Like most metropolitan centers, Atlanta also has its share of health clubs and fitness centers with extensive equipment and programs ranging from standards such as Nautilus programs and aerobics to newer programs including Bikram yoga and Pilates workouts. Metro YMCAs offer family fitness programs and facilities as well as workouts geared specifically for youth and the elderly. Leading national franchises with multiple Atlanta locations include Australian Body Works, Bally Total Fitness, Crunch Fitness, Fitness International, Gold’s Gyms, L.A. Fitness Sports Clubs and Ladies Workout Express. In addition, most medical centers offer fitness programs such as the Piedmont Hospital Health and Fitness Club. Of course any list of local gyms and health clubs would include the Concourse Athletic Club in Dunwoody, downtown’s Peachtree Center Athletic Club and the Carl E. Sanders Family YMCA Fitness Center in Buckhead. Also, most county parks and recreation departments offer low-cost fitness facilities ranging from fitness par courses at many parks to full gymnasiums and outdoor tracks. Advertise on atlantacommunityprofiles.com Email: lou@communityprofiles.info © Wieland Communications. All Rights Reserved.